Lana Del Rey is blessing us with two singles this week! 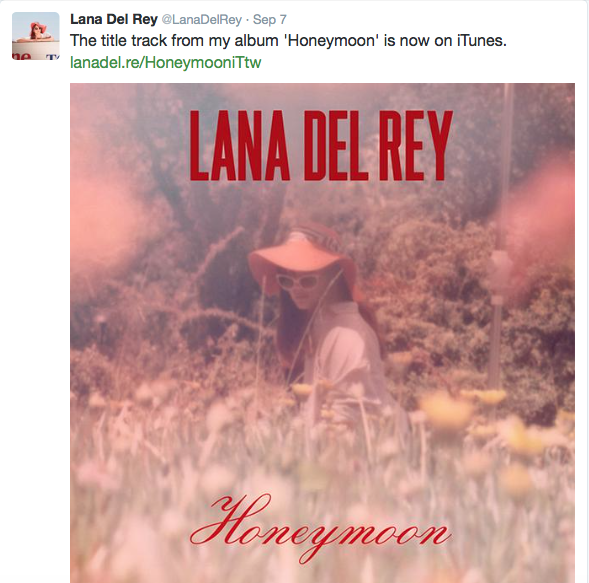 On Monday she (finally) released her title track “Honeymoon” onto iTunes. She previously released this on YouTube in July. 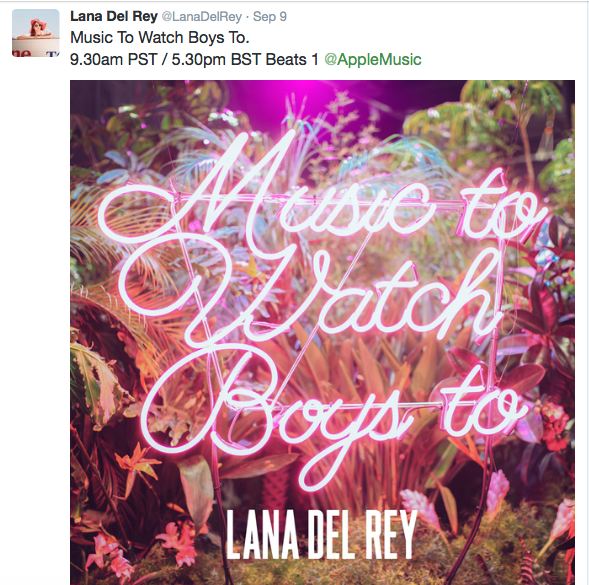 Now, after premiering “Music to Watch Boys to” on Apple Music, Lana is releasing it on iTunes on Friday the 11th. Getting antsy for the new album? Don’t worry, only one more week to go until Honeymoon is released. Bones is getting a very special guest star this season! 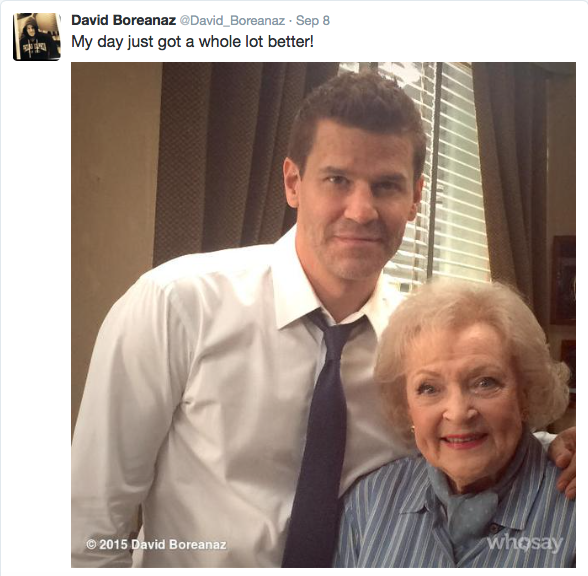 After announcing a few weeks ago that Betty White would be appearing in season 11, star David Boreanaz posted a picture of him and Betty on set together. 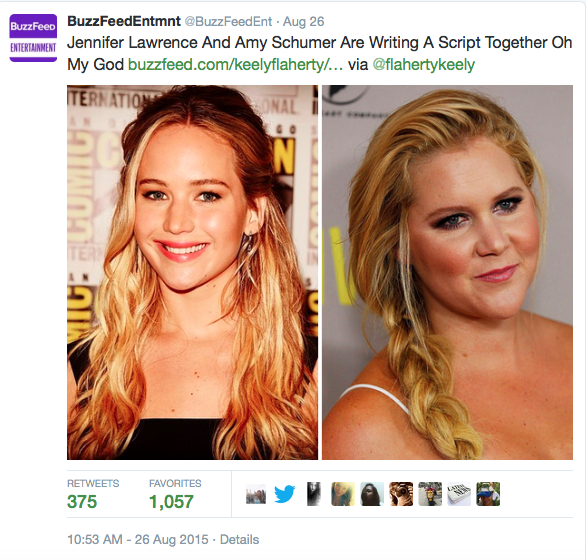 We are all very curious to find out who she is playing! Taylor Swift shared this photo on Twitter this week. 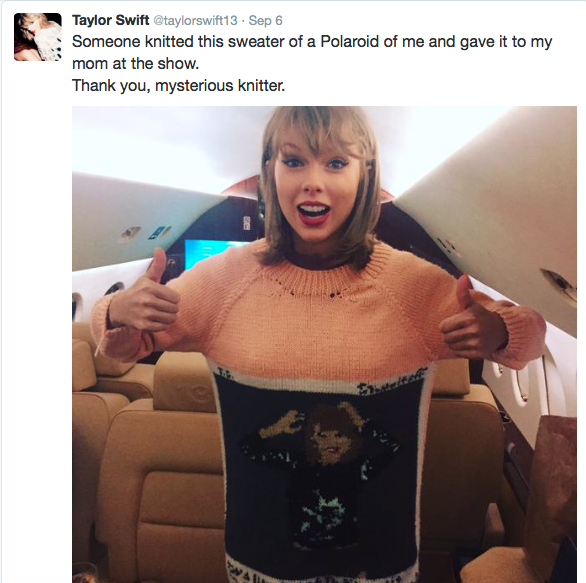 A fan knitted this awesome sweater for her and gave it to Taylor at one of her concerts. Pretty cool, huh? Finally, Selena Gomez has a new album coming out very soon, and you can now pre-order it on iTunes! 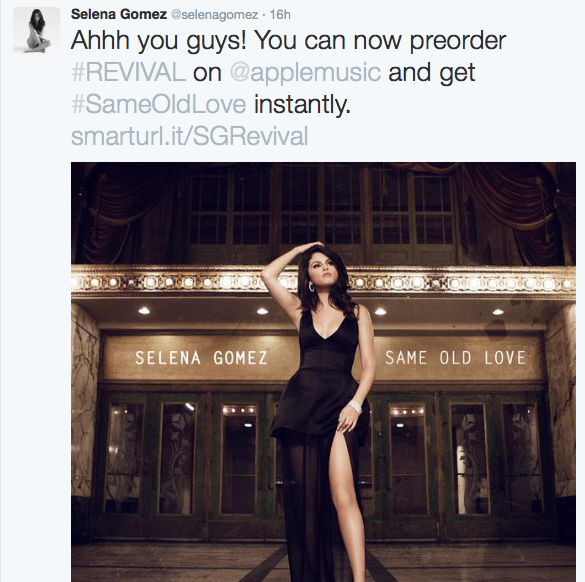 It’s called Revival, and it will be released on October 9th. In honor of that, she also released a new single today called “Same Old Love.” Order it today, we’re sure it’ll be a hit! What did you think of Lana’s new singles? And how excited are you for new Selena? Let us know in the comments or tweet us using #glamorouspaper! This week Taylor Swift marked an important anniversary: it’s been one year since she released her hit “Shake It Off” and announced her latest album. Since then she’s been on a world tour with amazing surprise guests and sold out crowds. Taylor sure has had a fantastic year with 1989 and already has everyone waiting for a new album. Starbucks made an important announcement this week regarding their most popular drink. Everyone’s favorite fall latte, pumpkin spice, will now be made with real pumpkin! This confused some people, who thought there was already real pumpkin in their drinks, but now this latte will be more natural. It’s hitting stores on September 8th, make sure to try the new and improved fall favorite! 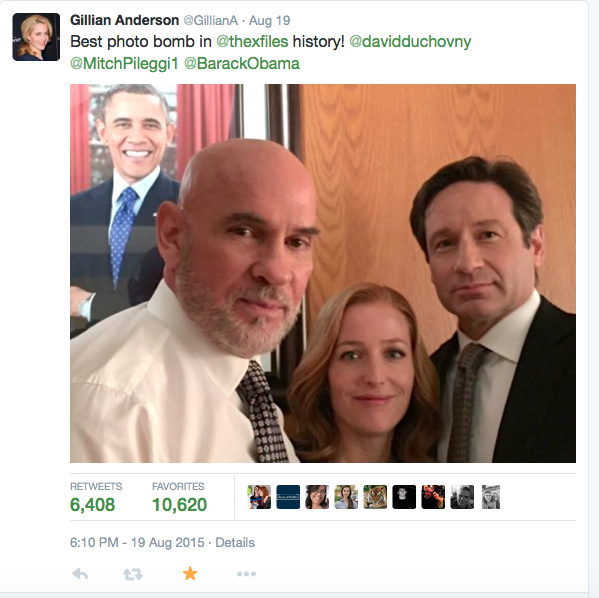 Gillian Anderson shared a selfie from the set of The X-Files revival with her co-stars David Duchovny and Mitch Pileggi. Fans are very excited to see what this revival will be like! It’s going to air on Fox in January, make sure you check it out, because the gang’s all here! 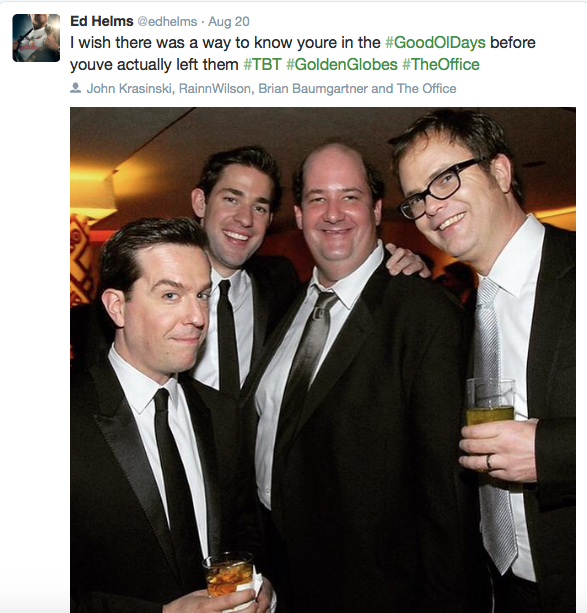 Ed Helms, who played Andy on The Office, shared a throwback Thursday picture of him and co-stars John Krasinski, Rainn Wilson, and Brian Baumgartner at the golden globes. He captioned it with one of Andy’s last lines from the finale of the hit comedy. It really brings back a lot of emotions from the finale and good memories from the nine years the show was on air. We have less than four weeks until Lana Del Rey’s new album Honeymoon is released, and this week was huge with news from it. The singer shared her tracklist, the album cover (shot by her sister Chuck Grant) and made it available to pre-order on iTunes. With the pre-order, you get her first single “High by the Beach” and a new song, “Terrence Loves You.” Her new single is incredibly soulful and jazzy; Lana shared that it is “close to her heart” and probably her favorite song on the album. Pre-order the album today, and expect it on September 18th! Did you pre-order Honeymoon? And what do you think about the pumpkin spice latte change? Let us know in the comments or tweet us using #glamorouspaper! They’re back! 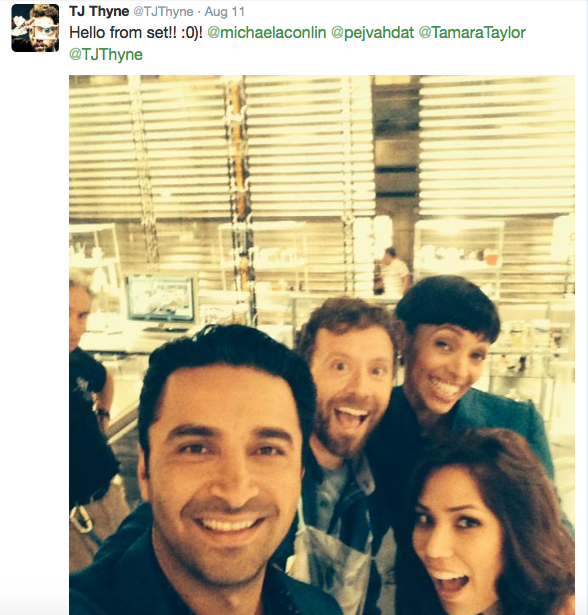 TJ Thyne, who plays Dr. Hodgins on the Fox hit show Bones shared a small cast selfie on twitter this week. The gang is all on set to film season 11, which could possibly be their last. According to the show creator, there is going to be a crazy, dramatic story arc for Hodgins and Angela this season. Fingers crossed they stay together! Bones isn’t the only show filming this week… American Horror Story: Hotel is one of the most highly anticipated premieres this fall, and Lady Gaga is really teasing us. 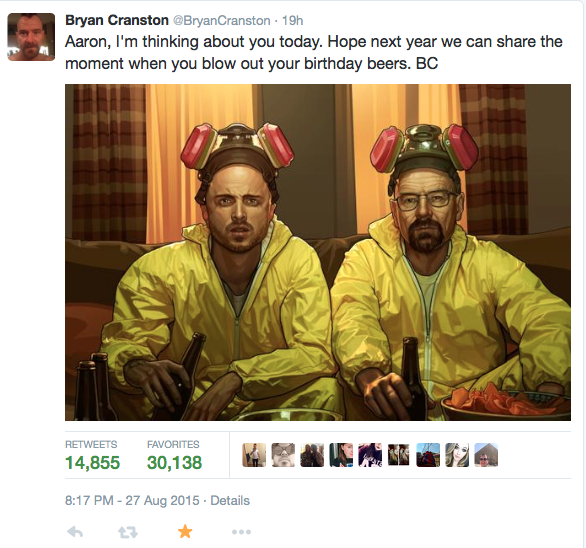 With this tweet, we can be sure that this season will awesome. Not only will Lady Gaga be in the cast, but so will Matt Bomer, Angela Bassett, Wes Bentley, and Lily Rabe. Is it October yet?! 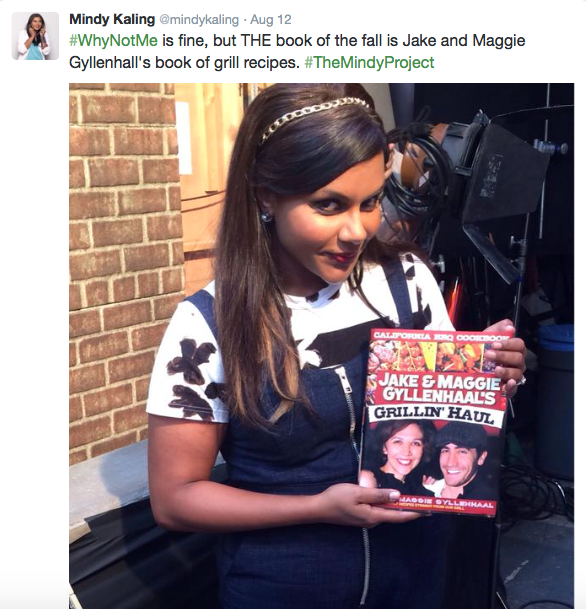 Mindy Kaling shared yet another picture from The Mindy Project season 4 set, where she appears to be holding a cookbook written by Jake and Maggie Gyllenhaal. Unfortunately, this is not a real book and is simply a prop. But if this is a hint of what is to come, season four will surely be hilarious. 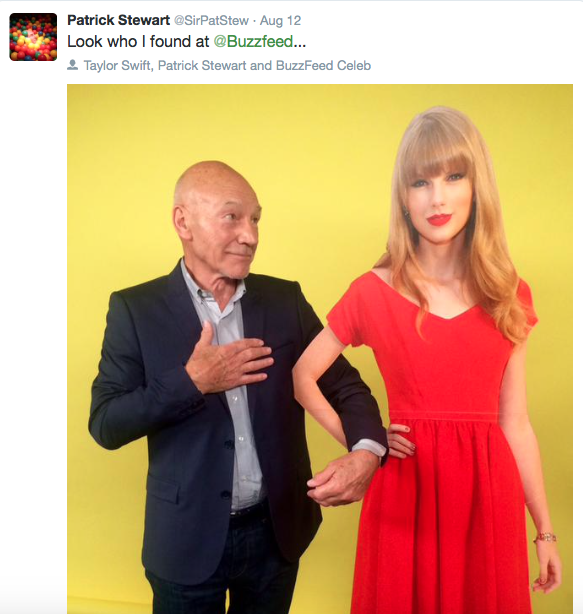 Sir Patrick Stewart stopped by Buzzfeed and saw a familiar face. A few weeks ago he asked Taylor Swift if he could join her legendary squad, and of course Taylor agreed! Patrick took this adorable picture with a Taylor cardboard cutout. Hopefully these two will hang out in real life soon! It’s here! Lana Del Rey’s first official single off her upcoming album Honeymoon was released on Monday, and on Thursday Lana shared the music video for “High by the Beach” on Vevo. The video takes place (where else) on the beach, and shows her struggle for privacy when the paparazzi is always after her. It also has a crazy ending you won’t see coming. Check it out below! What did you think of Lana’s video? And which fall show are you most excited for? Let us know in the comments or tweet us using #glamorouspaper! 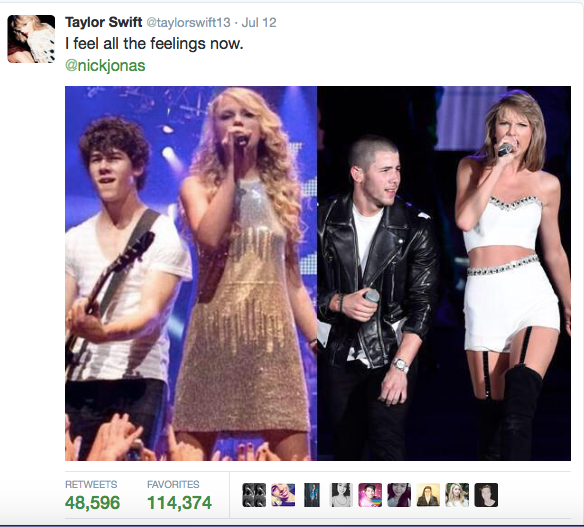 At one of her most recent shows, Taylor Swift brought Nick Jonas on stage with her to perform, and on Twitter she reminded everyone of the time she toured with the Jonas Brothers about six years ago. Seeing the pictures side to side really shows how much these two have changed over the years! 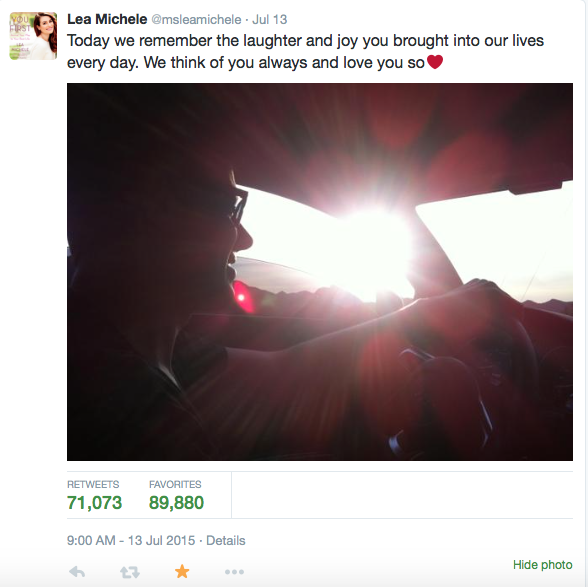 This week marks the two year anniversary of Glee star Cory Monteith’s death. 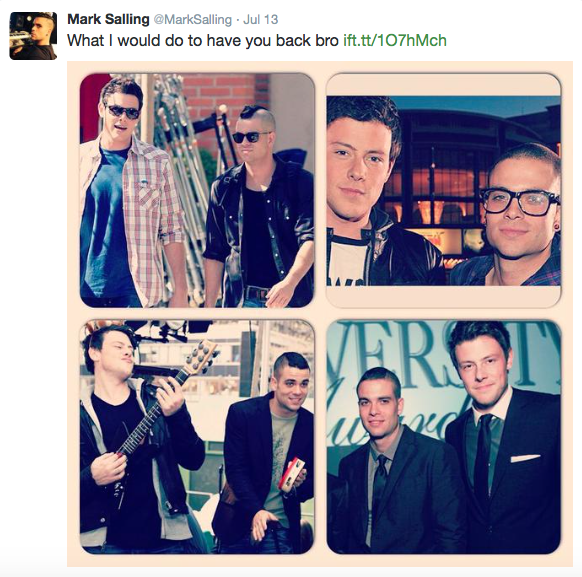 His girlfriend Lea Michele and his costar/friend Mark Salling both shared touching tributes on Twitter. Cory died tragically in 2013 from a drug overdose. Lea was especially heartbroken by Cory’s death, but since has found love again with boyfriend Matthew Paetz. She makes it clear though that Cory will always have a special place in her heart. 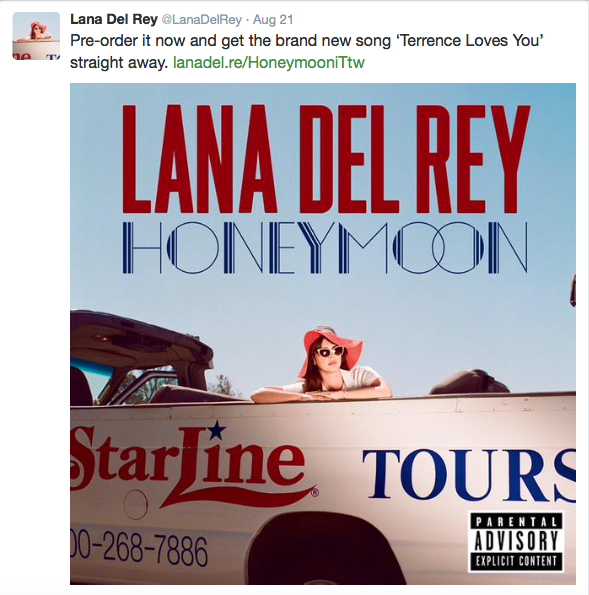 Lana Del Rey broke her two month twitter silence to announce the release of the first single off her new album, Honeymoon. Not yet on iTunes, it generated over 2 million views on youtube in less than two days. It’s absolutely wonderful, we posted about it the other day you should check it out! 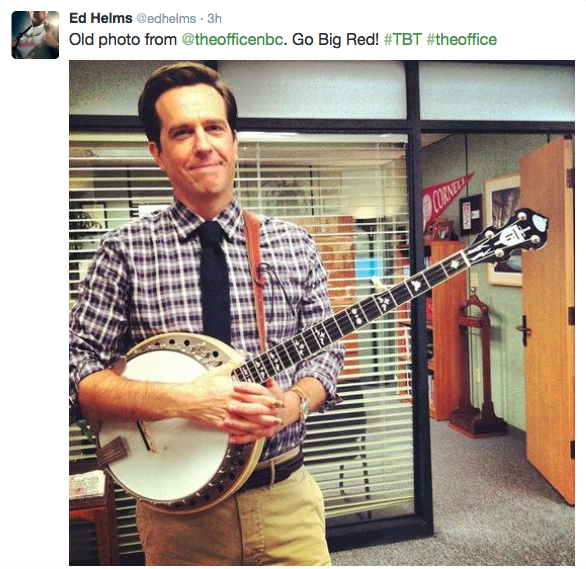 Finally, The Office star Ed Helms shared a throwback Thursday picture from the set of the hit comedy. If you’re missing the cast, you can see Ed in his new movie Vacation, coming out this month. Rainn Wilson also just announced he’s releasing a memoir called The Bassoon King this November, and Mindy Kaling’s new book is out in September. How about that crazy then and now picture from Taylor? And are you excited about Lana’s new single and upcoming album? Let us know in the comments or tweet us using #glamorouspaper!